Today is November 9, which means that it is D-Blog Day! Choose a form of Media Outlet to write an open letter to, such as NY Times, CNN, Local/National Newspapers, TV and why it is so important for them to let the world know that diabetes is more than just being overweight and having too much sugar. It is about reporting stories about Type 1 and Type 2 diabetes. Let them know what kind of things you would like them to write about. If there are specific articles or reports they got wrong, let them know about it! Let’s get it right! When I first saw this, it reminded me of the Oprah incident. I'm pretty sure that all of us remember that horrible episode of Oprah. And to this day, I think all of us have at least some resentment towards Dr. Oz and Oprah. So on that note, I am going to write a letter to all of the TV producers about what type 1 diabetes is really about. Type 1 diabetes is a very serious matter that is often portrayed incorrectly. Most producers show the worst case scenario and won't show the world what type 1 diabetics really do during their day-to-day lives. Instead, you hyper-sensationalize the chronic illness so people are shocked, but want to continue watching your show. You never say anything positive about the advancements in diabetes technology, instead you focus on the negative aspects of type 1 diabetes. None of your TV "specials" about type 1 diabetes are even researched properly, and most of the time, you don't bother to bring in actual diabetes specialists. If you were only to read on part of this letter, I beg you to read this. You need to do research before you talk about type 1 diabetes. First, all type 1 diabetics must take insulin to function normally. All type 1 diabetics must take insulin and if one diabetic takes more insulin than another, that does not mean that the person taking more insulin has a "worse" version of type 1 diabetes. It simply means that these two type 1 diabetics are different people and have different needs when it comes to the management of their diabetes. Type 1 diabetes is not "preventable...[or] even reversible." Contrary to popular belief, there is not way to reverse or prevent diabetes. You can't just eat some cinnamon and, suddenly, your diabetes magically disappears. And have you ever realized that if you brought in an actual diabetes specialist, not a heart surgeon, you might be able to portray what type 1 diabetes really is. If the people that are on your show can't even explain these things and have no experience with type 1 diabetes, you can never really show the "truth" about type 1 diabetes. Type 1 diabetes, in fact, does not always result in horrible side affects like kidney damage, amputated limbs, and etc; these horrible things usually, but not always happen to the type 1 diabetics with poor control over their diabetes. Most type 1 diabetics can live relatively normal lives without organ failure or amputations because they test their blood regularly, count carbohydrates, and administer the proper amount of insulin. In my entire life, I have never known or had someone that knew a person with horrible effects of type 1 diabetes. Every type 1 diabetic I know has had their ups and downs with the disease, but none of us have known people with amputations or organ failure because of diabetes. 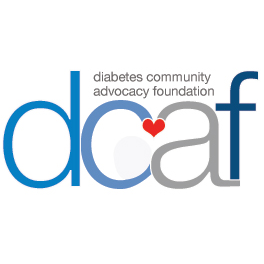 With proper treatment during the day and night, type 1 diabetics can live normal lives at home, work or school, and at social events; type 1 diabetics are not forced to a life in the hospital with organ failure and amputations. A type 1 diabetic's daily life is not nearly as tragic as you make it out to be. I am am a type 1 diabetic, so I do know for a fact that my life is not a sympathy story. I wake up every morning and test my blood. I eat breakfast and administer insulin through my insulin pump. An insulin pump is a device that has a certain amount of insulin inside it, and you can give yourself insulin with the push of a few buttons. The insulin goes through a tube and goes into your body through a small canula. I test my blood sugar 3 hours later and administer insulin if needed. This process is repeated every time I eat; I test my blood before lunch, eat, count the carbohydrates in my food, and administer the correct dosage of insulin, and etc. I go to the endocrinologist, a doctor that specializes in the endocrine system and diseases associated with it, to check up on my diabetes management and that is that. I don't go to the hospital every day for kidney dialysis. I don't go to the hospital constantly because I need limbs amputated. I go to school, do homework, play with friends and do anything else that a normal person does. The insulin pump and blood tester I use every day are part of my not-so-tragic daily life, and also some prime examples of positive advancements in diabetes technology. On most TV shows, we learn that there is no known cure for diabetes and that diabetics can only give themselves insulin to control their diabetes, when really there is so much technology out there that helps diabetics control and manage their diabetes. You have already learned about the insulin pump, which lets type 1 diabetics only need to inject themselves with a needle once every three days, rather than having to inject themselves multiple times daily with a syringe. I also have a device called a Continuous Glucose Monitor (CGM) which tests my blood sugar once every five minutes. This CGM can detect blood sugar patterns, so I can fine-tune the amounts of insulin I need to take daily. These devices are amazing advancements in diabetes technology and are truthfully massive steps towards the cure to type 1 diabetes. If you haven't realized by now that type 1 diabetes is not reversible, a tragic tale, or full of zero advancements in the related technology, you people are as truly incompetent that I thought you were. If you can realize that type 1 diabetics have relatively normal lives and don't spend their days in a hospital and put a type 1 diabetic on television that isn't wasting away, then maybe you can show a special with the "truth" about diabetes. a type 1 diabetic for 8 ½ years. Well, that is my open letter to the television producers of shows about type 1 diabetes. I hope you guys liked my long rant to these people. 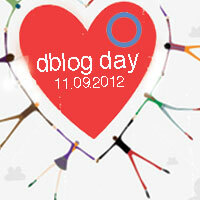 You can see everyone else's posts for D-Blog Day, and and all of the information about it here. Thanks for this honest post Sarah. Your blog is a joy to read and keeps me in perspective as I battle my own life's drama. I'm Type 2 for 5 years and just completed my first triathlon which I think did great to my body. Also, I'm kinda hoping to read about actos lawsuit posts the next time I visit because this topic really affects 1000s of diabetic patients.